“Rob McHale is a North Carolina-based folk-americana artist whose songs can take you through a small town, down a dirt road or on an historical journey – and bring you back home again. 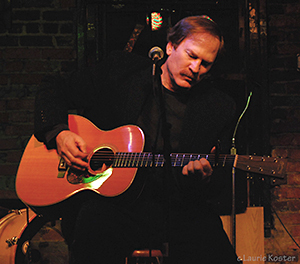 A two-time nominee for folk artist of the year in the Charlotte Music Awards and a finalist in Dallas Songwriters Association competitions, McHale also has received honorable mention in songwriting contests run by American Songwriter Magazine and Billboard. He’s been described as “a socially conscious writer with intelligent lyrics”, while somebody else “I hear shades of Neil Young, JJ Cale and many of the best writers of our generation”. “Fields”, McHale’s sophomore release, has a more produced yet personal feel to it. Laden with social commentary with historical overtones, Fields is about things we have lost and things we have found, a brush with history, home and family. The CD takes you through the Civil War without choosing sides. It let’s you reflect on the past through an honest and open window. Also included among its ten tracks are a brief foray into Irish history and reflective songs that focus on chances, family and the environment – with good wishes to close out the disc. Produced by Chris Rosser in Asheville, NC, “Fields” features two-time Grammy Award-winner Eliot Wadopian on stringed bass, among other guest artists. Also featured in the Hemifran Blog thread are Jackson Browne, ABBA, Diana Krall, Johnny Winter and many others. Previous: CD Release – ‘Fields’ Is Available Now!